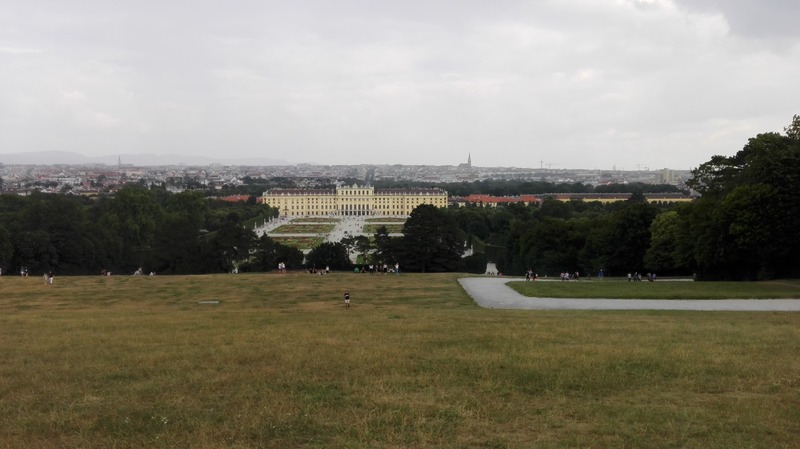 I spent the summer semester of Spring 2018 in Vienna within the CEMS MIM Program. The CEMS partner institution is WU, the Vienna University of Economics and Business. WU was one of my top preferences as I speak German and when applying to CEMS I found a lot of very positive information on its academic reputation. As far as business schools are concerned, WU ranks among the top 10 in Europe. As for the city, I assume most people are familiar with how great a place it is either through having visited personally or by having read the list of the world’s most livable cities. The public transit system is great, it is very easy to get around the city and find your way from point A to B. Regardless of in which district you end up finding accommodation there is a bus, tram or subway line nearby and they are scheduled pretty often. I lived at the northern part outer city ring, the so called Gürtel and it took me approximately 35 minutes to commute to the university campus. A huge advantage for those who enjoy parties is that the subway runs 24 hours during weekends. There are also multiple night bus lines available in case along with the as of now operating Uber service. Additionally, if the evening activity did not include consumption of an excessive amount of alcohol, biking is a further possibility to make your way home. Riding a bicycle in Vienna is very common and also quite convenient as the bike lane system is of high quality and covers most of the city. As for public transportation expenses, the semester ticket costs EUR 75 if you register yourself as a Viennese resident for the period of your stay. The semester ticket applies to all the public transportation methods, including the S-Bahn and night lines. Registering as a resident in Vienna is a quite simple process and the WU International Office helps each and every exchange student as to how to sort it out. This involves a small fee that you must pay up-front upon registration and another amount that you are supposed to pay if you stay longer than a certain number of months. We never bothered with the second one as we were advised by other foreigners and exchange students that it is not necessary unless you stay for half a year or even longer. If you plan on staying in Vienna for two consecutive semesters or do an internship there afterwards, I would definitely suggest paying this other fee as well as it is taken seriously when it comes to more permanent residents. WU has a recently built, gorgeous campus with very well equipped facilities. There are multiple restaurants, cafes and a canteen on the very premises as well as a convenient store, book store and for those driving parking garages are also available. There are many meeting/study rooms that students can book through an online system. The university premises lie off the Prater and the Prater city park. It is right between two subway stations with one stop at each end of the campus, but it is also easily accessible by bike or on foot from a nearby major S-Bahn and general transit hub, Praterstern. 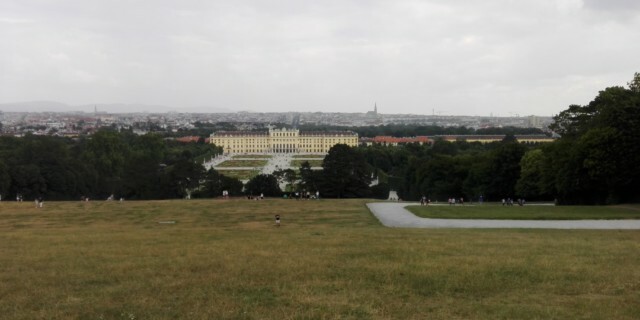 As for the studies themselves, I started the exchange period with a three-week-long so called Pre-semester German language course so that I could improve my skills and be able to move to Vienna a bit earlier to enjoy a longer stay there. This crash course incurs some further fees, but the small amount due is worth every single Euro. I sincerely recommend participating to anyone that considers to improve their German or to start the language from the very beginning as well. Besides the opportunity to learn another foreign language which apparently happens to be the local language too, it is a period of time during which you can make many new friends and build your network of acquaintances at the same time. Furthermore, it is not extremely demanding, classes only take place in the mornings, thus the course allows for sightseeing and socializing in the afternoons and on the weekends. I took courses exclusively from the list offered for CEMS students except for the German business communication and Pre-semester language courses. These are available on the CEMS website and the number of ECTS that they are worth represent the associated workload quite properly. For example a 7.5 credit course has more contact hours or requires more papers and essays to be handed in than a 5 ECTS one. We also had quite a few blocked courses which offer a convenient way to obtain a given number of credits of the course of a couple of days. One thing about these courses though is that you are not allowed to take to at the same time, meaning that on one specific week you can only do one of them, even if both would fit in the schedule. They take place at different points within the semester. The structure of the summer semester was very intriguing as after the first two or three weeks of school we had a two-week-long spring break. It also often happens that there is one specific class that takes places every other day for a week or two and then there is a pause for several weeks. This implies that the weekly, overall workload throughout the semester tends to be rather hectic and it is advised to check your schedule and plan ahead accordingly. Finding accommodation in Vienna can be quite challenging. Basically, there are two available options for international exchange students to choose from. One is the student housing which pretty much means that you are placed in a dormitory. In order to be able to stay in one of the student dorms, people have to apply well in advance and there is the additional, however insignificant uncertainty involved that you may not be assigned to your first preferred location. What I want to imply with that is that there is no guarantee that you will be placed in the closest dormitory to WU, but there is an opportunity to indicate your preferences. Also, there are different types of dorms and rooms in terms of equipment and facilities as well as regarding the number of roommates, number of rooms in the apartment and so on. This obviously has an impact on the price that applies to your stay at that specific student housing unit. By and large the dormitories are within maximum 30-35 minutes from the WU campus by public transportation. As for myself, I did not apply for student housing and embarked on finding a so called Wohngemeinschaft that essentially translates to a room rental with other people. This would be the second major option as far as accommodation is concerned. However, I would not recommend trying to look for a room or apartment in Vienna if you have no such experience yet. Not only because it is a foreign country and a different city, but in many occasions you might need to be quite fluent in German. Moreover, especially when it comes to staying together with others, they may want to meet you in person first to get to know you better etc. This also implies that you either need to live in Vienna already or to travel there for these informal “interviews”. You can find great rooms or apartments too, of course, many exchange students stayed in such places along with myself and sometimes they tend to be even cheaper than the dorms depending on different circumstances. 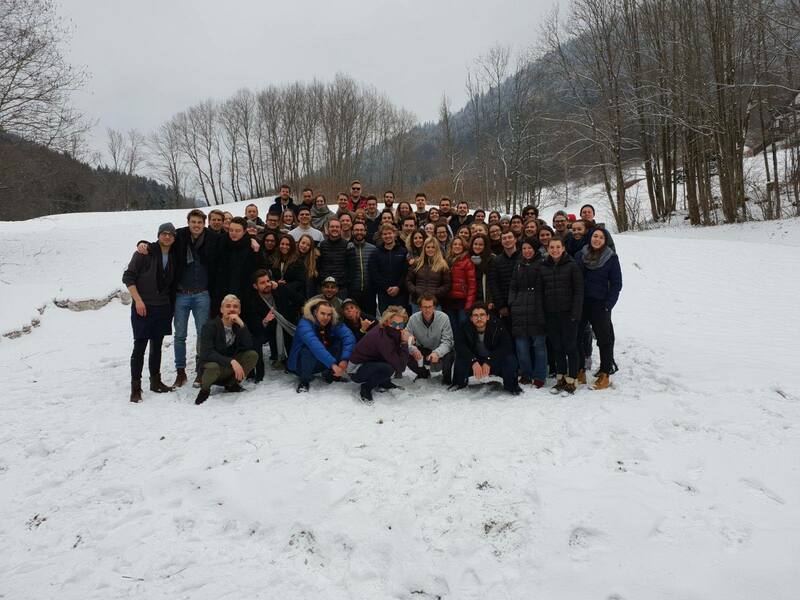 To sum up the matter of housing, if you want to be on the safe side and have no previous experience in living abroad, finding accommodation in a new city and may lack the necessary German skills, I would stick to the student dormitories. It is really up to your personal preference though, so I do not intend to discourage anyone from trying to find a WG rental room either. 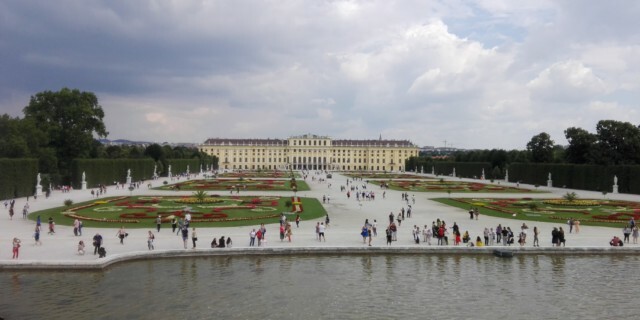 Austria belongs to the group of countries classified as high living cost places both in the Erasmus and Campus Mundi grant programs. The city itself is not crazy expensive, however there are a couple of expenses one has to reckon with. Accommodation in general costs more, somewhere in the range of EUR 350 and 700. This may seem quite wide, but there are a lot of factors that have an influence on how much you are going to have to pay for your housing in Vienna. On average a single room should cost around EUR 450 – 500. Groceries are somewhat more expensive than in Hungary, but having lunch at the school canteen and shopping in discount stores such as Hofer (Aldi) and Lidl can save you a lot of money. Clubbing is relatively costly especially compared to the party capital Budapest, entry fees are generally higher and drinks also cost significantly more. There are quite a lot of places though where you can enjoy a cocktail or beer at a reasonable price, following locals may often be in your wallet’s favor. The same applies to eating out, there are several restaurants that offer decent meals and dishes at student friendly prices, but again, I would recommend asking someone who has been living in Vienna for a while. If you are into döner kebab, Vienna is the right place for you. 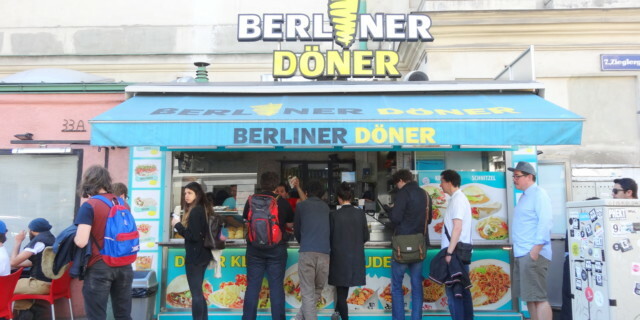 There is a döner place on every other corner and most of them sell tasty kebabs for a small sum of money. 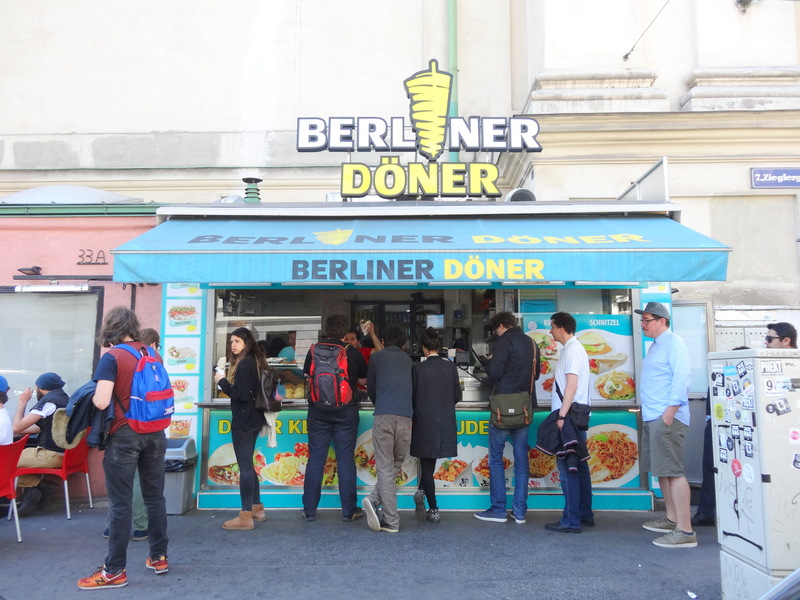 My personal favorite and a very well-known spot among Viennese people is Berliner Döner under Zieglergasse 33A. Once you get there and try their food you will undoubtedly realize why it is so popular (given that you are into such things).